German chancellor Angela Merkel on Tuesday backed the idea of creating a "real, true" army for the European Union as the geopolitical alliances are redrawn all over the world. Merkel spoke to MEPs in Strasbourg on Tuesday (13 November) backing up France's Emmanuel Macron's call last week for a European army, and rebuking US president Donald Trump, who has tweeted that the idea was "insulting". 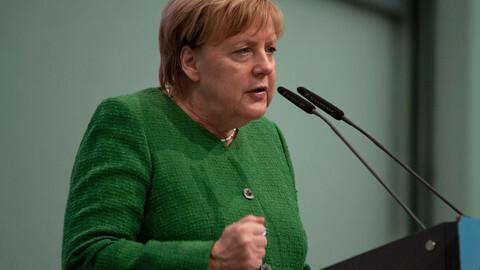 The German chancellor, who has already announced this is her last term in office, also called for a European security council with a rotating presidency of each EU member state, "where decisions can be made more rapidly". 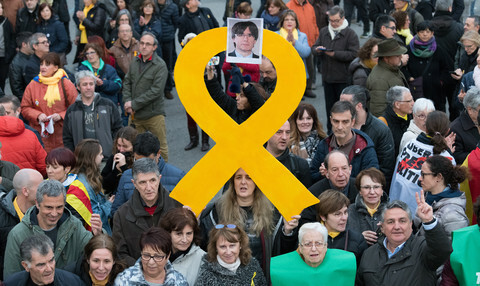 "The time when we can rely on others have passed, we have to take our fate into our own hands if we want to defend our community," Merkel told the European Parliament. She said EU countries have to coordinate more on foreign policy and stand united in the world. 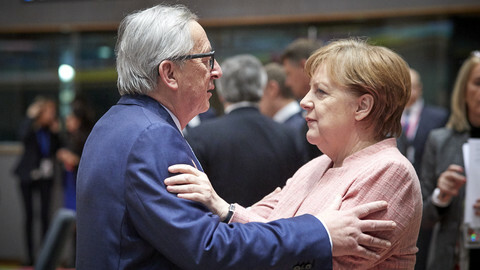 EU commission president Jean-Claude Juncker in September said the EU executive would propose new rules to shape some foreign policy issues by majority decisions, rather than unanimity among member states to avoid EU countries blocking common positions. Merkel called for an EU rapid reaction force that would be turned into a "real, true" EU army, which would be a "supplement" to Nato, the military alliance with the US and Canada. 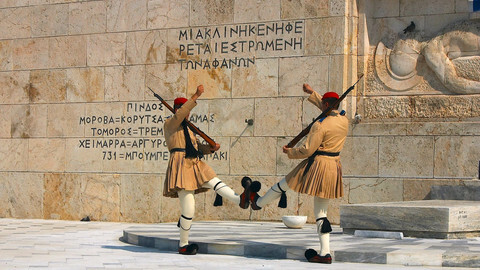 "What is really important, if we look at the developments of the past year, is that we have to work on a vision of one day creating a real, true European army," Merkel said drawing applause - and some boos - in the chamber. At the weekend, Merkel, Macron, Trump and other world leaders marked the 100th anniversary of the end of World War One in Paris. While Merkel, in her concise speech of just under 30 minutes, on Tuesday, backed Macron on defence, she did not call for deeper eurozone integration, something the French president hoped previously he could secure from the German chancellor. 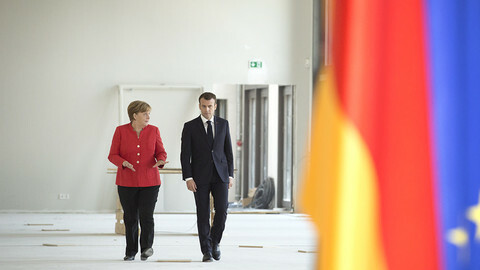 Instead, Merkel joined in the chorus of EU leaders calling for innovative technologies in Europe. Merkel stressed that solidarity among member states is needed, and only a united Europe can survive. She described Brexit as a "deep wound". "Tolerance is the soul of Europe, it is an indispensable, basic value for us Europeans," she said. 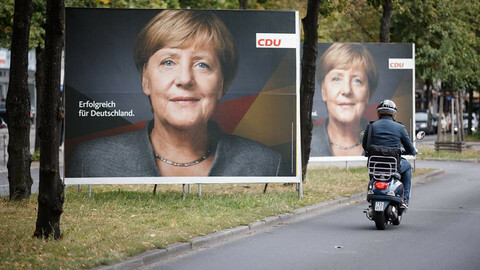 Merkel recently announced she would not seek re-election as chair of her political party, the Christian Democratic Union (CDU), making her current term as chancellor the last, which ends in 2021. She called for a common asylum policy to better manage migration, and to avoid secondary migration: asylum seekers moving form one EU country to another. Merkel also called for a swift agreement to the already agreed ramping up the EU's border protection. 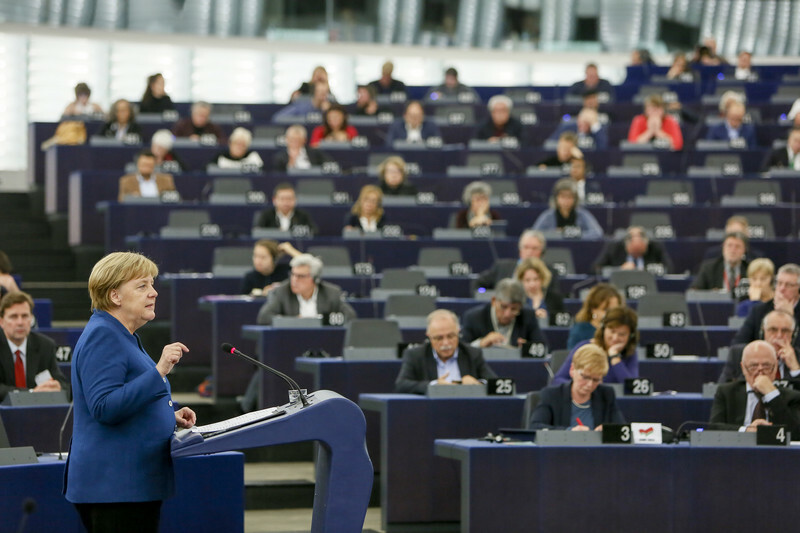 Throughout her speech Merkel was hackled by some of the MEPs, which the German chancellor seemed to take light-heartedly. "I am pleased about this, this is great, I am annoying people," she said at one point during her speech to those who booed her. 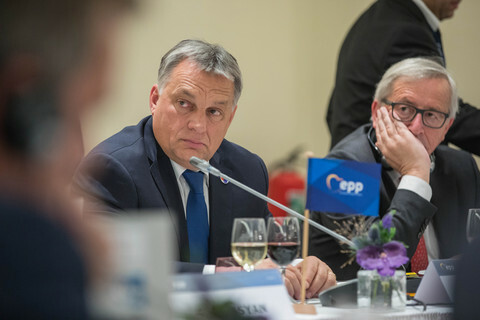 Netherlands positive, but Slovakia negative on proposal to do foreign policy by majority vote, as Jean-Claude Juncker outlines vision for "sovereign Europe". As the functions of Christian Democratic Union party leader and chancellor have historically always been held by the same person, the next CDU leader could take over Merkel's main job as well. 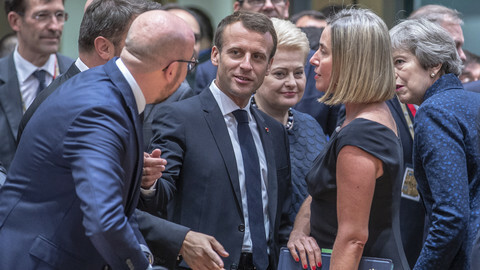 EU ministers have agreed to create a new "intelligence school" and to jointly build new drones and attack helicopters, amid French and German calls for a future "EU army".